This weekend was my first birthday in China. We rode the bus into the city and first stopped at Starbucks. I was surprised to find that the store was in Christmas mode. 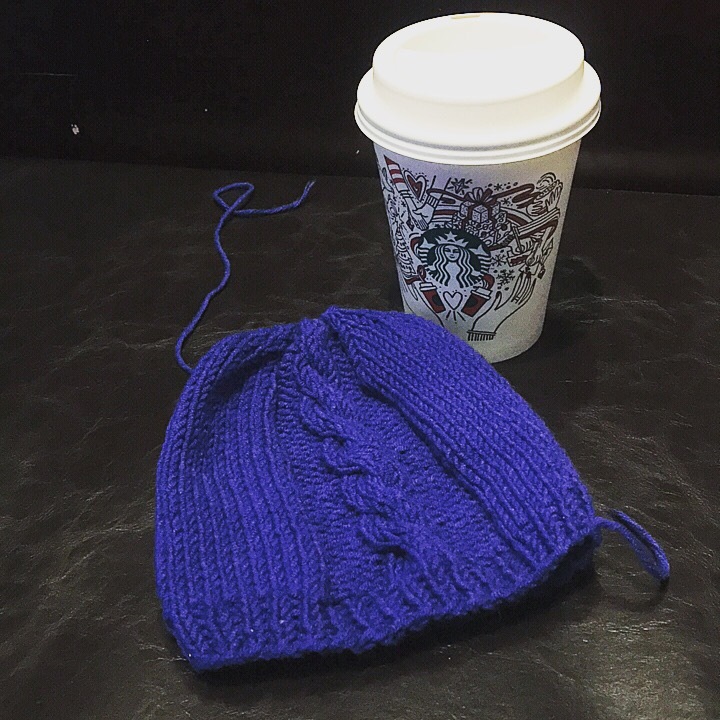 I guess they skip fall here… it was 85 degrees yesterday.😣 I did get to finish a little baby hat I was working on while sipping a cappuccino. The hat was just a basic beanie with a six stitch cable up the front. Later in the day we headed to Liuhua Tea and Culture City in Liuhua Park. I have to say it didn’t dissapoint. The ambiance and food were quite lovely. I can’t tell you what we ate as I don’t know the names of a lot of the food. Many of the names of dishes don’t translate well so the picture menu was essential. The park was also nice to walk around. The city has created a very relaxing space that mixes recreation and beautiful landscaping. The trees gave it some nice shade so it was somewhat comfortable to walk around in the heat. All and all was a great day filled with laughter, yummy food, and a wee bit of knitting. Starbucks is in full Christmas mode here in the states too!